Click on photo to enlarge for contact information! 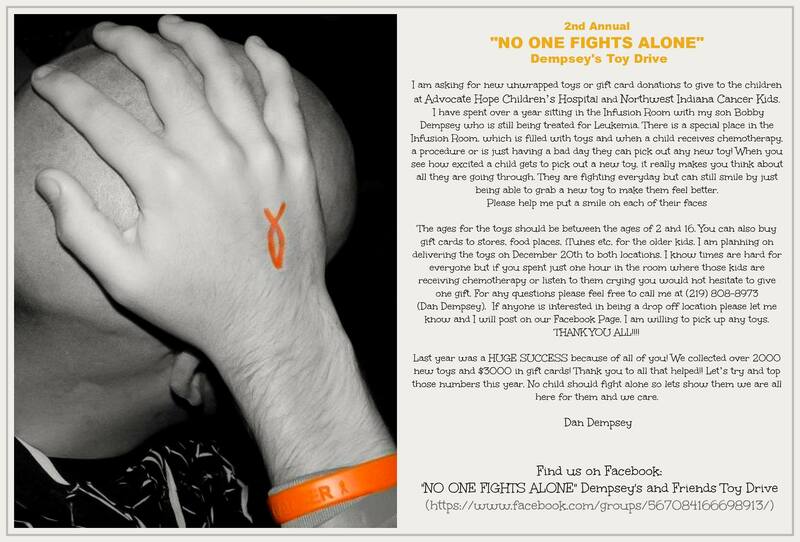 The young man in the picture above is the Son of a good friend of many, who is fighting leukemia. I grew up with his Dad and had the pleasure to work with him in public safety in my hometown of Riverdale, Illinois. Please help by donating whatever you can. By doing so, we can help these kids of all ages have not only a great Christmas, but something to take their mind off of their cancer and their chemotherapy treatments, if for JUST One Minute! Please Help And Donate! !